Every once in a while Hollywood produces a movie so compelling that it almost becomes necessary viewing. 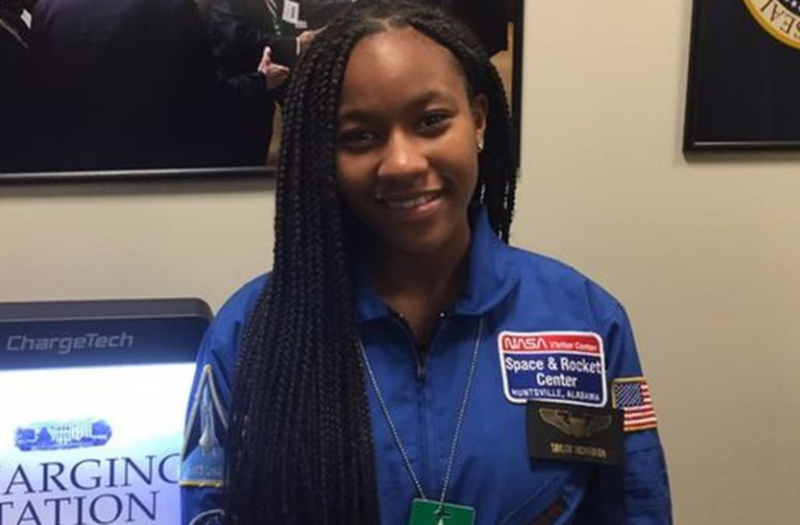 For 13-year-old aspiring astronaut Taylor Richardson that was the case with Hidden Figures — a film that shines the spotlight on three brilliant black women at NASA who helped launch astronaut John Glenn into orbit. After having the opportunity to attend a Hidden Figures event at The White House in December and view a special screening of the film, Richardson decided to raise money to send other young girls to see it. Richardson created a GoFundMe page with the goal of raising funds to send 100 girls to see Hidden Figures, in addition to giving them each a copy of the book and movie snacks, of course. After seeing the movie and hearing from the cast and first lady, Richardson explained on her GoFundMe page, "I left D.C. feeling incredibly inspired to pay it forward for some girls in my community to have a special viewing as well." "It's important that girls not only look at the stars but take the steps to reach for them," she wrote. She explained that by helping other young girls see the film, she feels they too will be inspired to dream bigger and follow their ambitions. "I believe seeing this movie will give us girls the inspiration we need to say I can be can be a mathematician, an engineer or better yet an astronaut!" In 17 days, Richardson's campaign has already raised an impressive $12,082, vastly surpassing her original $2,600 goal. On Monday, she purchased the first set of 175 movie tickets for a Jan. 21 screening, complete with swag bags, movie posters and copies of the book. Mashable reached out to Richardson for additional comment. Is 'Deadpool' an Oscars contender? You bet your chimichangas it is.